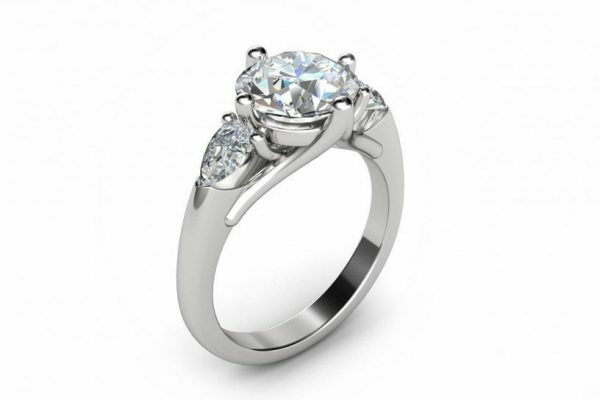 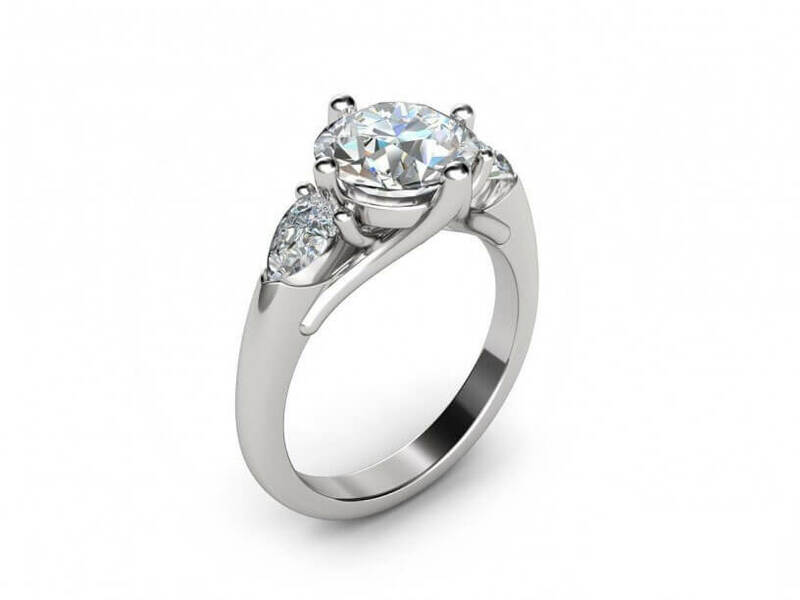 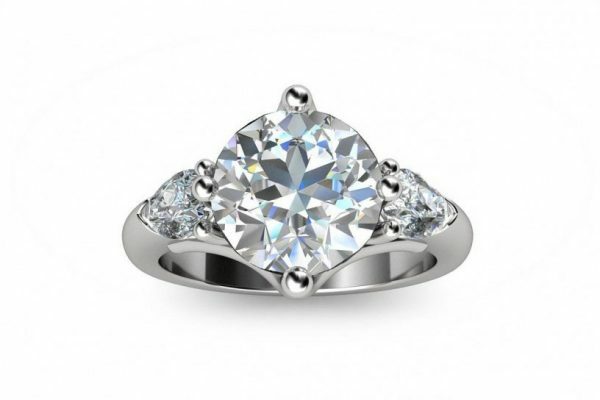 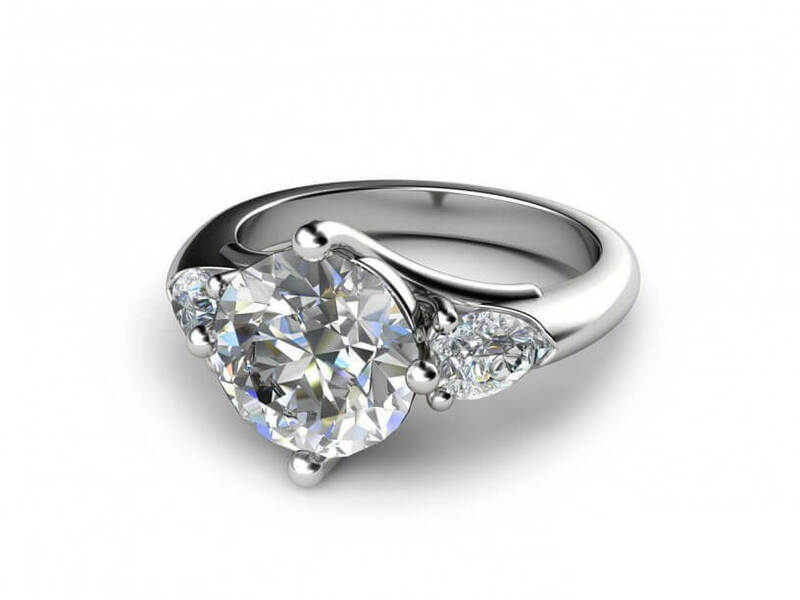 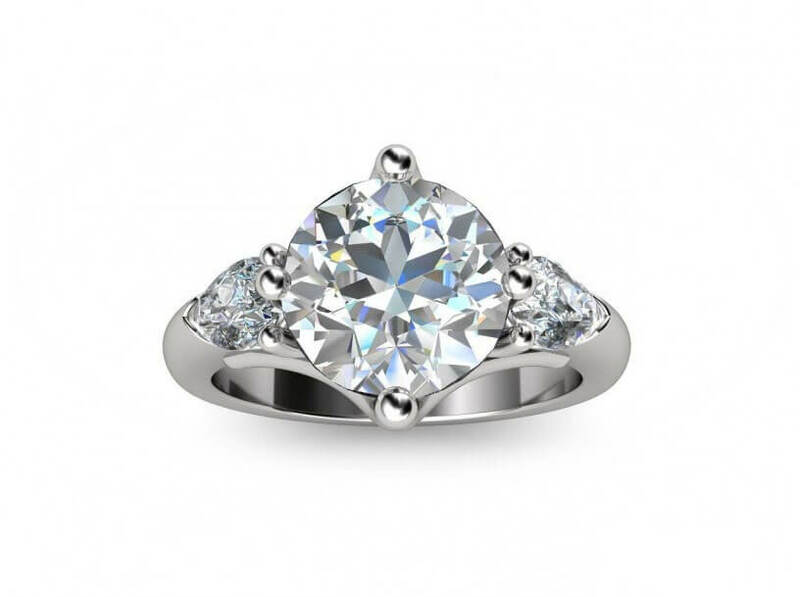 This stunning three stone engagement ring, features a round brilliant centre diamond and two matching pear shaped diamonds claw set in your choice of metal including white gold, yellow or rose gold, or platinum. 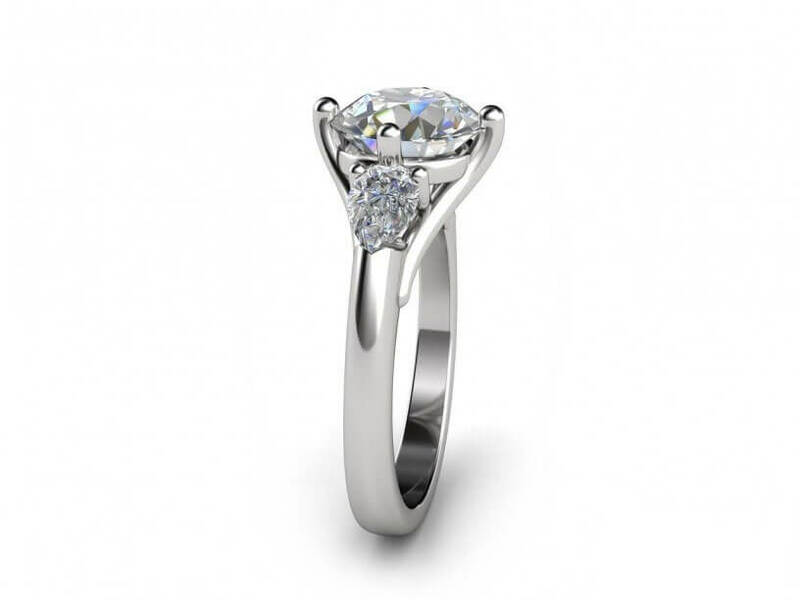 This design is a modern take on a popular classic and is both feminine and sophisticated. 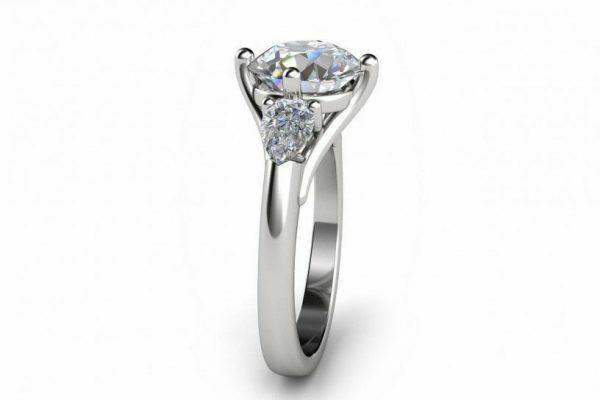 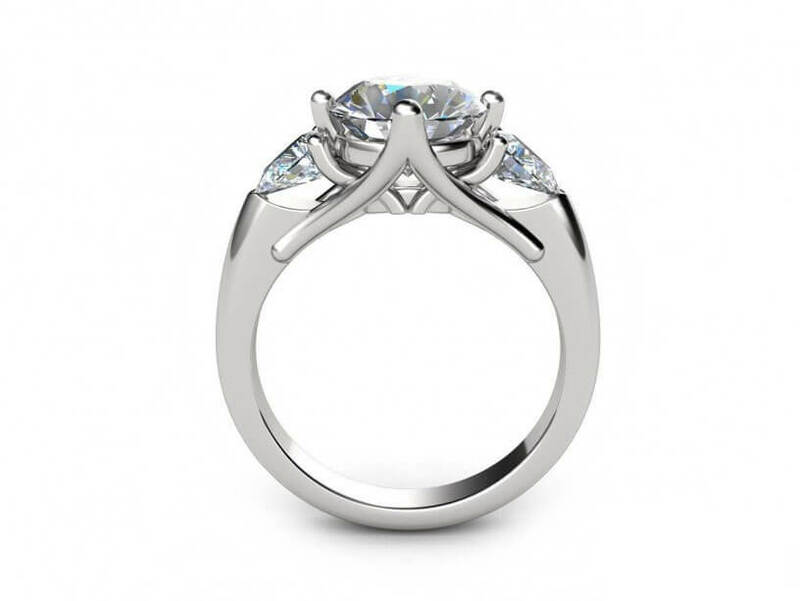 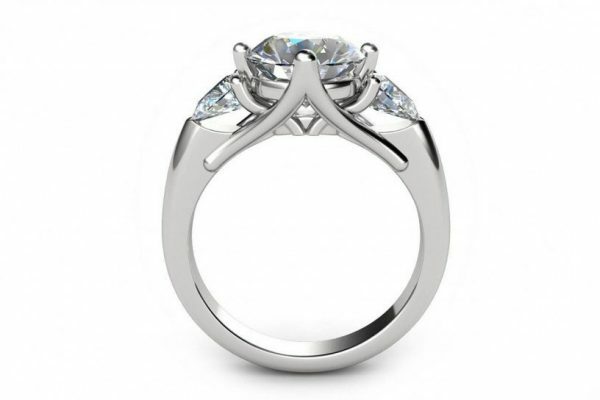 All of our designs can also be custom made with your choice of precious stones.